Road Refresher stops spills from accidental kicks. 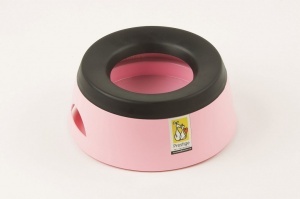 This non spill pet travel bowl also keeps long ears and beards out of the water. Road Refresher has a floating plate inside which feeds enough water through for your dog to drink at all times, yet immediately restricts the flow whenever there is a surge of water from cornering braking kicking and so on. Road Refresher has a Velcro base so fixes carpets and additional safe fixing pads for fixing the water bowl to most other surfaces. Made from heat resistant toughened polypropylene, the Road Refresher is easily taken apart for cleaning and then clicks back together again. Holds 1.4 litres. Suitable for dogs of all sizes and breeds. 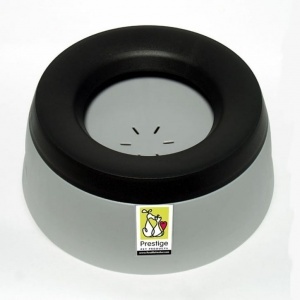 Diameter of base 24cm x height 10cm.